Conversion rates can be deceiving. Most optimizers want to improve their numbers, but what does a sudden bump in conversion rates really mean? And what did you sacrifice to enjoy the increase? For instance, if you slashed your prices in half, you probably saw a conversion rate hike. However, even with extra orders, your revenue-per-visitor (RPV) rates likely plummeted. That’s why we encourage our customers to look at bigger-picture metrics as well as conversion rates. Your conversion rate is a single number that represents one thing: "The percentage of visitors who take a desired action." However, what is the desired action? Depending on several factors, including your industry and experience, you must define your specific business goals. You need to know what you want to achieve as well as how you plan to get there. For instance, if you run an apparel store and you’re hoping to increase revenue, you might examine the last few months of sales history, identify your most popular clothing items, and optimize your landing pages and other online assets for those items. When you want to improve the bottom line, you start with business goals and objectives. Do you want to improve overall brand visibility? Increase seasonal sales? Increase units sold? Boost ROI on ad spend? Identifying these goals will help you create a CRO plan that actually benefits your business. Instead of celebrating a big number, you’ll know what that number means in the context of your goals. How do we want our sales figures to change in the next 12 months? What free resources can we offer for improved email capture? How can we design assets to separate qualified and unqualified leads? What's the best way to measure ROI for our particular goals? Can custom deals and offers help bring up conversion rates? How can we improve customer retention as well as customer acquisition using CRO? Once you’ve set a business objective, you need a strategy to meet your goal. Fortunately, you have access to numerous tools that can help you fine-tune your CRO efforts and better understand consumer behavior. 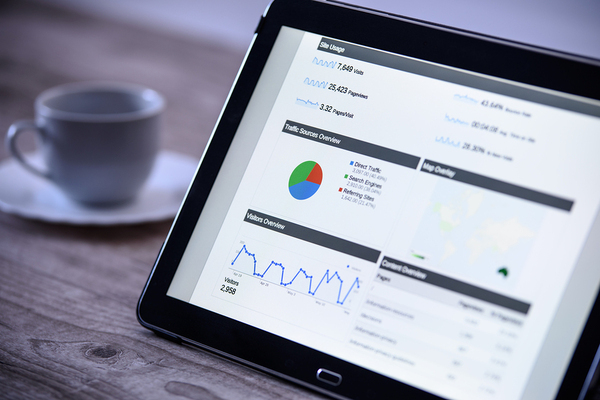 Google Analytics – provides you with a breakdown of website data, from the number of visitors you received in a given time period to bounce rates, visitor origins, and time on page. As mentioned above, though, this data can’t help you reach your goals on its own. If you know the average bounce rate, for instance, you don’t know why people click away by staring at a number on a screen. Similarly, analyzing popular pages won’t help unless you focus on optimizing those pages for future conversions. The data is helpful only if you know how to interpret it and pull insights from it. Heatmaps – can answer where visitors are clicking on a page, what click activity looks like for different devices as well as how far down they scroll on a page. This can be helpful when finding popular products or categories to optimize. Using scrollmaps can help you discover if your CTA which is located 75% down on your page is even being seen by your visitors or if it is never seen at all. Recordings – whether you use Hotjar, click tale or mouseflow, the idea is to be able to watch what your visitors are doing during their session. It’s somewhat like peeking over their shoulder without seeing any confidential data. When watching sessions, you can find areas of frustration and misalignment for your visitors and can be helpful to find bugs/errors that may appear during a session. Once this data is collected, you can focus on strategically focusing on what matters most. CRO isn’t just about one number. It’s the process by which you set and achieve sales goals, no matter your industry or history. When we start working with clients, we ask those big-picture questions so we can develop a custom CRO strategy that won’t artificially inflate conversion rates, but will actually result in improved sales and other benefits. We are solving business problems, rather than just looking at numbers to improve. To learn about CRO best practices, check out our quick tips sheet: How to Convert: Top 10 CRO Tips.